Cancer is now the largest cause of disease in Australia, surpassing cardiovascular disease. Although we are making advances in treatment, prevention and screening more than 13,000 people die of this disease each year in NSW. Better treatments are needed more than ever. I have always wanted to help people. I have always had a strong desire to know how things worked. I have always enjoyed the challenge of problem solving. Combining all of these is the driving force behind my research. Dr Jennette Sakoff is Head of the Experimental Therapeutics Group in the Department of Medical Oncology at the Calvary Mater Newcastle. The aim of her research group is to provide better outcomes for people with cancer. Thus the focus of Dr Sakoff’s research is to develop new and innovative chemotherapy options and to better manage toxicity associated with current chemotherapy treatments. Dr Sakoff has discovered a group of small molecules that selectively kill breast cancer cells grown in the laboratory while having little to no effect on other tumour types or on healthy normal breast cells. Dr Sakoff has also discovered that patients with short telomeres are more likely to experience life-threatening haematological toxicity following chemotherapy treatment. Dr Sakoff has published numerous peer-reviewed articles in these fields including front cover acknowledgments and artwork in the journal of Medicinal Chemistry Communications and the European Journal of Inorganic Chemistry. Dr Sakoff has presented at many national and international conferences including the American Association for Cancer Research, World Cancer Congress, World Congress in Clinical Nutrition, Science of Nutrition in Medicine, and the World Congress on Advances in Oncology. She has been awarded the Early Career Researcher of the Year from HMRI (2000) and a Research Training Fellowship from the International Union Against Cancer (UICC; 2001). Dr Sakoff has received international, national and state competitive funding from the James S McDonnell Foundation (USA), NHMRC, ARC, Cancer Council NSW, Cancer Institute NSW, HMRI and Calvary Mater Newcastle Granting Schemes. Key to Dr Sakoff’s success is the establishment of strong national and local research collaborations including but not limited to the University of Newcastle (Chemistry and Clinical Pharmacology), Calvary Mater Newcastle (Haematology), Children’s Medical Research Institute, and the University of Western Sydney. Dr Sakoff is currently working towards improving our understanding of how breast cancer cells respond to chemotherapy treatment. Dr Sakoff is now expanding her studies to provide better outcomes for patients with brain cancer including the development of novel therapies and better management of temozolomide/radiation treatment in patients with glioblastoma. 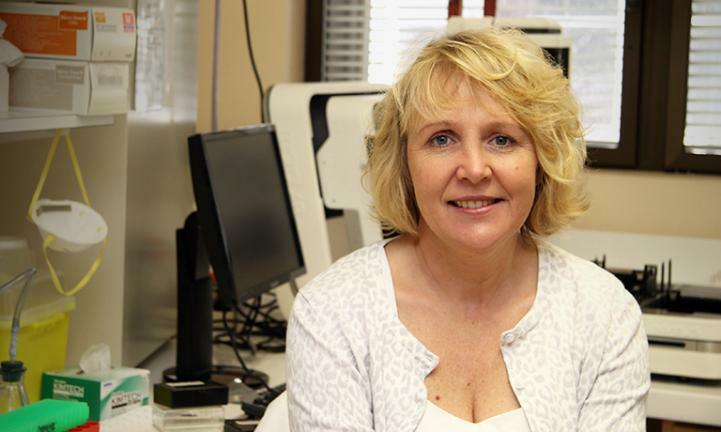 Dr Sakoff’s research facilities at the Calvary Mater Newcastle Hospital provides state-of-the-art equipment including robotics and expertise for the study of pharmacodynamics, pharmacokinetics, pharmacogenomics, combination analysis, drug screening, drug detection and cell biology studies. Dr Sakoff’s laboratory cultures many cancer cell lines including those derived from colon, breast, brain, skin, bone, prostate, pancreas, ovary, lung, neuronal cells, and blood. These cell lines are used to test the anti-cancer ability of compounds that are either synthesised in the laboratory, commercially available or harvested from natural sources.